Training - TidyMAX is certified by the Institute of Inspection, Cleaning and Certification (IICRC) - a globally recognized body of certification for cleaners, the National Air Duct Cleaners Association (NADCA), and the Better Business Bureau (BBB). We hold multiple Master and Journeyman Cleaning and Restoration Technician designations which are the highest certifications available. Expertise - TidyMAX has been in business for over 10 years and is trusted by many local property management companies and associations to fulfill their cleaning needs. Technology - When choosing TidyMAX you can be confident that we use state-of-the-art tools and machines. We use the most advanced systems available in our industry. Guarantee - We offer our clients a 100% unconditional satisfaction guarantee on your service experience. We do not consider a job complete until you say it's complete. If for some reason you are not satisfied with our service, we will promptly return to your home or place of work and correct it. 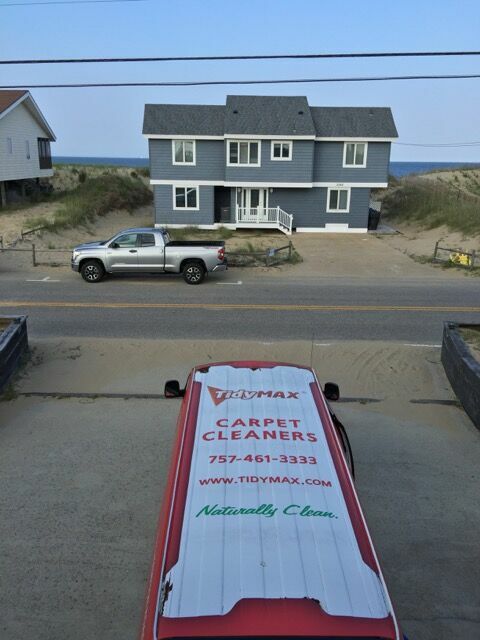 Reputation - TidyMAX is considered by many as the most reliable restoration and cleaning company in the Hampton Roads area. No company is more exclusively referred by property management companies, associations, homeowners and realtors in our area. We do whatever it takes to protect and maintain our golden reputation. Our references are available upon request.